Syrian War Report – Jan. 23, 2019: Syria Threatens To Strike ‘Tel Aviv Airport’ 4.2307692307692 out of 5 based on 13 ratings. 13 user reviews. Late on January 22, the Syrian Arab Army (SAA) repelled a major attack by Hayat Tahrir al-Sham (formerly Jabhat al-Nusra, the Syrian branch of al-Qaeda) in the Idlib de-escalation zone. According to the Russian military, about 150-200 militants supported by 15-20 vehicles equipped with machine guns attacked SAA positions in the areas of Abu al-Duhur and Abu Sharja. They also employed at least one suicide vehicle borne explosive device. The militants overran the first line of defense and penetrated about 1.5-2 km deep into the SAA-controlled area. Then, the military deployed reinforcements and with support of artillery units SAA troops repelled the advance and forced militants to withdraw from the recently captured positions. According to pro-SAA sources, Hayat Tahrir al-Sham members suffered significant casualties. 12 service members of Iran’s Islamic Revolutionary Guard Corps (IRGC) were killed in the January 20th Israeli airstrikes on Damascus’s International Airport, the UK-based Syrian Observatory for Human Rights (SOHR) said on January 22. 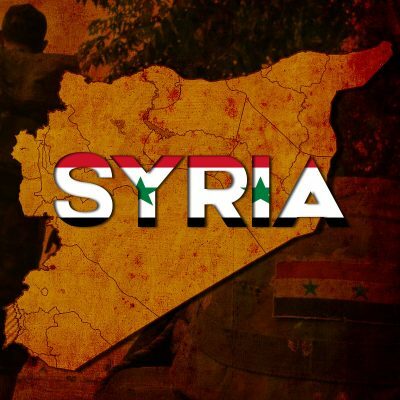 The SOHR claimed that the total death toll is 21 people: 6 Syrian Army troops, 12 IRGC service members and 3 other non-Syrian nationals. On January 22, Syria’s envoy to the United Nations warned that if the UN Security Council did not put a stop to Israeli strikes on his country, Syria would retaliate on its own. “Syria would practice its legitimate right of self-defense and respond to the Israeli aggression on Damascus International Airport in the same way on Tel Aviv airport,” Bashar Jaafari said. The Israeli Defense Forces (IDF) claimed that the strikes were aimed at Iranian targets in the country. According to the very same version, IDF aircraft attacked Syrian military positions because they were responding ‘violently’ to Israeli strikes on Iranian forces. It should be noted that the SOHR claims contradict with the data provided by the Russian Defense Ministry. It said that 4 Syrian service members were killed in the attack. The Russia-delivered S-300 system was not employed by the Syrian military during the encounter. According to Russia’s Kommersant newspaper, the reason is that Syrian S-300 crews are still not ready to operate the S-300 air defense system themselves. According to the report, the S-300 crews have not passed firing exams yet. The newspaper speculated that the crews would not be ready earlier than March 2019. Then, one battalion of the S-300 air defense system will reportedly be deployed in the T4 airbase area. Citing its own sources, Kommersant stated that Russia is not going to change its current attitude towards Israeli strikes on Syria as long as Russian personnel are not near the targets being hit. Their have pass already will only be given a go ahead to use s-300 once bombs falls close to Russian troops. I think soon we might be needing a Venezuela category…a ‘Venezuela civil war’ report. Later on Tuesday, Vice President Mike Pence told the Venezuelan people in a video message that the US government supports Guaido’s call for a transitional government. Some Mr. Slime with tie always represents US. How many times have Russia said “next time we will retaliate”? How many times have Assad said “next time we will bomb inside Israel? How many times have Iran and Hezbollah said “next time we will turn Israel into ashes”? They have to say something before their people and the World to do looks like scared sheeps. There are Russian personnel throughout Syria. There have to be Russians in and around Damascus, probably including the airport. If Syria want to stop Israeli aggression they need to do what they say after all what Syria is going to lose it is already in ruin but the damage to Israel could be massive economically and politically. Israel does not attack Lebanon because it know there is going to be retaliation. “Already in ruin” – you really don’t know what you are talking about. You obviously don’t know anything. Apart from main part of Damascus the rest of the country had been very severely damaged by the terrorists backed by foreign powers including Turkish, Israeli, Qatari, Saudi, UAE, US and other Western countries. It would be nice if SF could find a more reliable source of information. Kommersant is a mouth piece for israhell..
All media are, even alt media………………….……LOL. We controle everything! Syria needs to beef up their SHORAD defenses by acquiring more Pantsir units from Russia, and Iranians should bring their short range air defenses to help Syrian air defenses to defend their installations. Since Russia is allowing Israel to conduct attacks on selected targets in Syria, Syria should ask for sufficient weapons to defend itself against concentrated attacks. Tor system was supposedly included with the S300 package, however, having enough Pantsir and Tor together forming the Syrian SHORAD would be a good deterrent for stand off weapons. Having 25-30 of each would constitute an adequate defense for the Damascus airport and areas southeast of it. Iranians have both systems, any clone of SHORAD and S300 would be a welcomed reinforcement, along with a squadron or two of F14’s armed with the Fakhour air to air missile. I admire how the Syrians, Iranians, and the Russians took back Syria–at least most of it, The rest will come. However, when it comes to Israel, the only outfit that will take on the Israeli cowards and beat the crap out if them is Hezbollah. Iran, Syria- Russia– less talking–shut up about the “big fist” you are going to clobber the Israelis with and go clean their clock. For a dozen years I have listened to the “crushing blow’ answer that you are going to deliver upon those child killers but no punch behind your mouths. In some ways you should be ashamed to call yourself a military while the Zionist play with you like toys. Yeah, go show your manhood. What’s stopping you/? Are you afraid? Now that they have killed twelve of your brave soldiers– Iranians– you will still do nothing– just muthoff with your coming of the “crushing response” So tired of listening to the same old useless rhetoric Please, MAN-UP–or shut up. Well, Israel is officially at war with both Iran and Syria. Unilaterally without declaring a war. Russia, as I’ve said before, doesn’t really care about Syria itself; they would (at present) always side with Israel over Syria). However, they keep their option open, since the state of Israel might collapse faster than some would forsee.